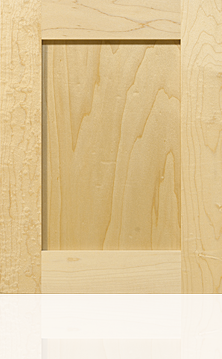 Walk through your options on over 40 door styles, wood types and finishes. Ask us about our exceptional finishes, including glazing, chalking, distressing, antiquing and sand-through. We also offer exotic veneers in Wenge, Walnut and Oak. Choose your ideal combination from the lists to the left. Note: Image is artist rendering. Actual colour may vary.